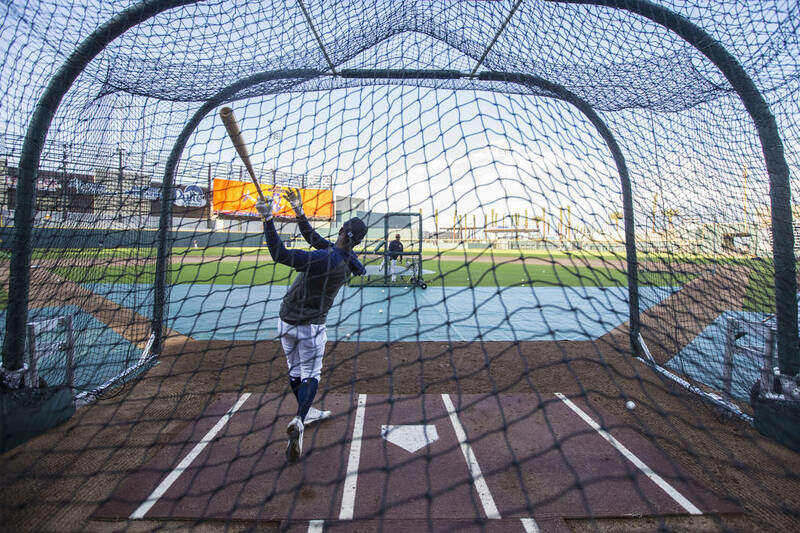 Station Casinos and the Westgate each posted a line on the Aviators’ season opener Thursday at El Paso, and the books plan on posting lines on all of Las Vegas’ Triple-A games this season. New ballpark. New name. New affiliation. The Aviators also are the new kids on the betting board at Las Vegas sportsbooks. Station Casinos and the Westgate each posted a line on the Aviators’ season opener Thursday at the El Paso Chihuahuas, and the books plan on posting lines on all of Las Vegas’ Triple-A games this season. The Aviators are in their first season as the Oakland Athletics’ affiliate. They opened as minus 125 favorites over the Chihuahuas, who, not surprisingly, were small ’dogs. The total was 10 and shaded to the over, which probably will be the case for most games in the hitter-friendly Pacific Coast League. Station Casinos will have $1,000 betting limits on sides and totals, and the Westgate has a $1,000 limit on sides and $500 on totals. Both sportsbooks reported taking some small bets on Thursday’s game.